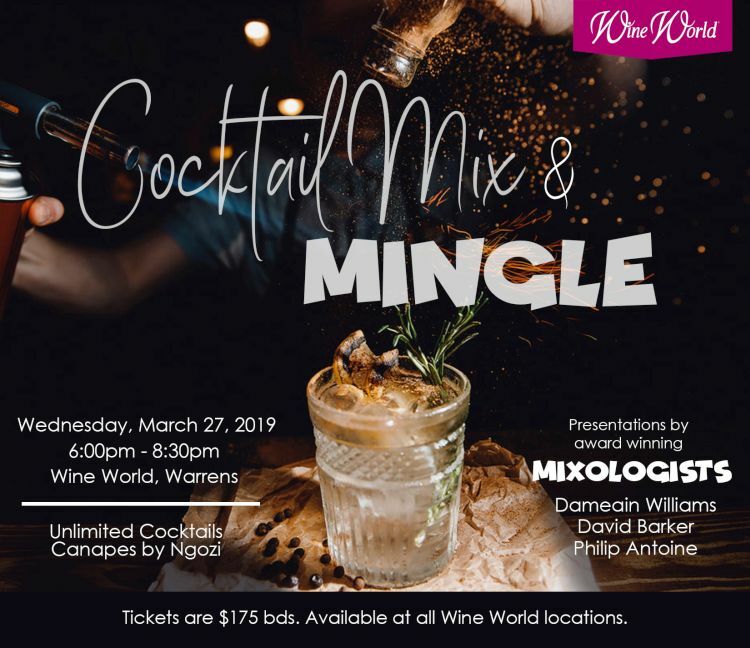 Wine World invites you to The Wine World Cocktail Mix & Mingle - a Premium Networking Event. Get ready for an exciting night of delicious cocktails and fantastic company. Interact with new and exciting people as you enjoy unique cocktails prepared by three of the Island’s leading Mixologists: Dameain Williams, David Barker and Philip ‘Casanova’ Antoine. You don’t want to miss the live and dynamic cocktail presentations and gourmet canape buffet prepared by Chef Ngozi Jackman. Tickets available at all Wine World Locations. Limited seating is available. Contact Wine World at info@wineworldinc.com to save your space.